Revolutionary Aerodynamic & Durable Flood Lighting. To ensure that our products meet your exact application, we offer highly-customisable solutions. Thanks to the several different variations available – these LED lights are well suited for sports pitches, outdoor courts, car parks, perimeter lighting and architectural lighting. InnovateLighting offers LED products that are not only built-to-order but also delivered in days. 1. Installation: Rotating U-Bracket or Pole-Mount Bracket? Choose from either a rotating U-bracket or pole-mount installation bracket, and we will provide the relevant parts, accessories and instructions to meet your requirement. 2. Beam Angle: 30°x60°, 65°x120°, 15° or 30°? 3. Intelligent Control Options: Dimmable? You can decide whether you want your light to have standard control functionality or upgrade to incorporate a dimmer. The aerodynamic shape of the aluminium case is so effective that it allows air to circulate without producing any resistance. This ensures that the system is maintained at an optimal working temperature and capable of an outstanding cooling performance. 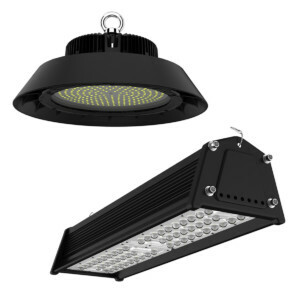 Capable of working within a wide temperature range between -30ºC and 50ºC – fixtures are IP66 and IK08 certified and suitable for outdoor conditions. Additional features include 10kV surge protection and an external respirator (which helps avoid internal fogging and frosting) to ensure outstanding reliability no matter what the weather. With its ultra-compact size, lightweight design and modern slimline aesthetics, don’t let these distinctive good looks deceive you – these products are built for industrial use! Manufactured in robust die cast aluminum and finished in an anti-corrosive powder coating – fixtures are suitable for use in harsh environments.